The airline transport pilot of the light sport airplane was approaching the airport for landing in gusty front quartering crosswind conditions. Witnesses observed the airplane on final approach between 50 and 75 ft above ground level. The airplane's nose pitched up, followed by a roll to the right. The airplane then entered a nose-down attitude and descended to ground contact, impacting level terrain about 750 ft from the runway and slightly left of the extended runway centerline. Examination of the wreckage did not reveal any preimpact mechanical malfunctions that would have precluded normal operation. Before the accident flight, the pilot had about 2.4 hours of experience in the accident airplane make and model but had been signed off to fly the airplane by an instructor. Witness observations of the final moments of flight are consistent with an aerodynamic stall. It is likely that the pilot failed to compensate for the gusty crosswind and turbulent conditions during the approach for landing, which resulted in an exceedance of the airplane's critical angle of attack, aerodynamic stall, and subsequent loss of control. The pilot's failure to maintain airplane control during approach for landing in gusting crosswind conditions, which resulted in an exceedance of the airplane's critical angle of attack and a subsequent aerodynamic stall. After graduating in 1975 from the Naval Academy, Richard Hess was commissioned an officer and entered the naval flight program at Pensacola, Fla. Graduating at the top of his class and earning his wings in 1977. Mr. Hess was assigned to Naval Air Station Whidbey Island, Wash., where he flew Grumman A-6 attack planes. Career assignments included tours in squadrons VA-128 Intruders, VA-95 Green Lizards and Va-165 Boomers, and command tours as executive officer and commanding officer of VA-52 Knightriders. Bob Knowles, who was Mr. Hess' commanding officer at Whidbey Island in the late 1970s and early 1980s with VA-165, was also his navigator and bombardier. "Rick followed the rules, was very steady and never did anything stupid with the airplane, and he had some of the toughest flying in the squadron," said Mr. Knowles of Albuquerque, who retired in 1993 from the Navy with the rank of captain. "The A-6 is built for the bombardier and not the pilot," said Mr. Knowles. "I wanted to fly with him, and that's why I chose him — and I could have chosen anyone. We were given really tough challenges, and we were able to pull them off. "He was a hell of a pilot, and if he was still alive, I'd still want to fly with him," he said. In 1986, Mr. Hess began a tour of duty at the Pentagon, where he was an aide to Secretary of the Navy John Lehman, and subsequently secretaries James H. Webb and William L. Ball. Mr. Hess later flew in combat in Somalia and Iraq and was serving aboard the aircraft carrier USS Enterprise at the time of his retirement in 1996. Janet loved the zest and passion of taking on new challenges. Lawrence A. McCarter, Investigator In Charge (IIC), National Transportation Safety Board. On April 19, 2016, about 1244 eastern daylight time, a Vans RV-12, N276VA, was substantially damaged when it impacted terrain during final approach for landing at Bay Bridge Airport (W29), Stevensville, Maryland. The airline transport pilot and passenger were fatally injured. The airplane was registered to Yoxford Air, LLC, and operated by Chesapeake Sport Pilot under the provisions of Title 14 Code of Federal Regulations Part 91. Visual meteorological conditions prevailed and no flight plan was filed for the personal flight, which originated from Easton/Newnam Field Airport (ESN), Easton, Maryland. The flight departed W29 about 1210 and proceeded to ESN, about 16 nautical miles southeast, where the pilot performed a full-stop landing and subsequent takeoff. The flight then departed the ESN traffic pattern and returned to W29 at an altitude about 1,500 ft. Witnesses at W29 reported that they heard no transmissions from the pilot to the airport's common traffic advisory frequency (CTAF) as the airplane approached the airport. Flight track data showed the airplane enter the traffic pattern on a left downwind leg for runway 29 and remain at an altitude about 1,000 ft mean sea level then initiate a left descending turn to the base leg. 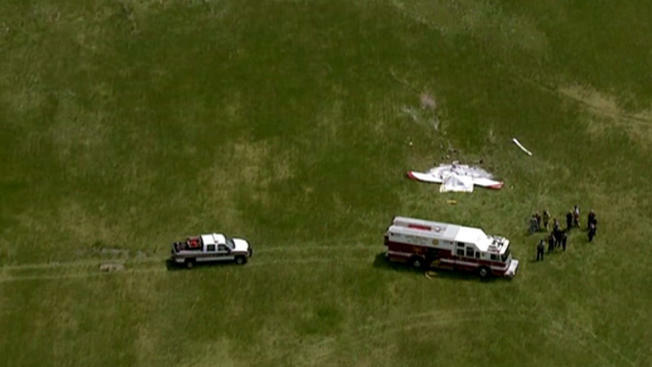 Multiple witnesses located near the airport observed the airplane on final approach and reported that it seemed unusually low about 50 to 75 ft. Several witnesses described the right wing drop before the airplane pitched nose-down and descended to the ground. Another witness reported that the airplane's flight path "seemed normal," then "suddenly, its nose pitched up briefly" followed by a bank to the right, then a nose-dive into the ground." 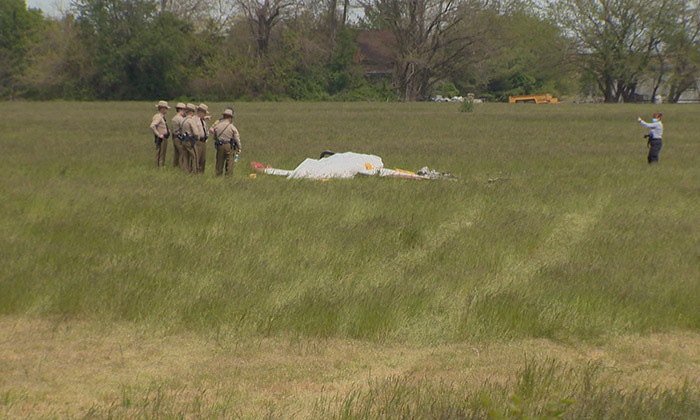 The airplane impacted terrain and cartwheeled about 75 ft before coming to rest upright about 750 ft short of runway 29 and slightly left of the extended runway centerline. A postimpact fire consumed the fuselage before it was extinguished by emergency responders about 10 minutes after the accident. 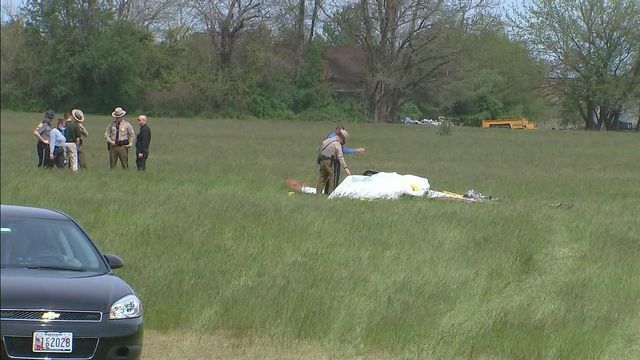 According to Federal Aviation Administration (FAA) records, the pilot, age 63, held an airline transport pilot certificate with ratings for airplane single- and multi-engine land. He also held a flight instructor certificate for airplane single engine. The pilot was issued an FAA first-class medical certificate in April 2008, which expired for all classes in April 2010. At the time of the accident, he did not possess an FAA medical certificate, nor was he required to for the accident flight in the light sport airplane. On the application for his last medical certificate, the pilot reported 5,136 total hours of flight experience. According to a review of the flight school's electronic records and correspondence with the owner of the school, the pilot completed two flights with a flight instructor in March and April 2016, totaling 2.4 hours of flight instruction and 3 hours of ground instruction. The pilot received an instructor signoff to fly the accident airplane on April 7, 2016. No pilot logbooks or additional flight records were recovered. The flight instructor who provided the instruction and the signoff stated that the pilot had called several weeks earlier to receive a checkout in the RV-12 and stated that he did not have any experience in light sport aircraft. During the instruction flights, they performed various maneuvers, including steep turns, stalls, normal and soft field takeoffs, landings, and go-arounds. He stated that the pilot seemed "very comfortable" with the airplane and flew very well. According to FAA records and the airframe manufacturer, the two-seat, low-wing, fixed landing gear airplane was manufactured by Van's Aircraft, Inc., and received its special airworthiness certificate for light sport on June 23, 2015. The airplane's most recent 100-hour inspection was completed on March 16, 2016. At the time of the inspection, the airplane had accrued 298.6 total hours of operation. The airplane was equipped with a Rotax 912-ULS-2 engine. The pilot's operating handbook stated that stall speed with the flaps extended at maximum gross weight was 41 knots; with the flaps retracted, the stall speed was 45 knots. The maximum direct crosswind was 11 knots. At 1248, the weather recorded at W29 included 10 miles visibility, temperature 26°C, dew point 6°C, and altimeter 29.99 inches of mercury (inHg). At 1245, the reported weather at ESN included wind from 320° at 10 knots gusting to 16 knots, 10 miles visibility, scattered clouds at 25,000 ft, temperature 26°C, dew point 6°C, and an altimeter setting of 30.02 inHg. The closest upper air sounding site was from Aberdeen Proving Grounds (APG), Maryland, located about 32 miles north-northeast of the accident site on the western shore of the Chesapeake Bay. The 0800 sounding indicated a morning surface-based inversion to about 800 ft. Winds were from the northwest at 10 knots and increasing in speed to over 20 knots immediately above the inversion. The strong shear resulted in a potential low-level wind shear conditions and turbulence. W29 was a nontower-controlled airport. The field elevation was 15 feet msl and the airport was equipped with one asphalt runway. Runway 11/29 was 2,713 ft long by 60 ft wide and had nonprecision markings. Runway 29 was equipped with a 2-light precision approach path indicator (PAPI) with a 3.00° glidepath. The airport property was on the eastern shore of the Chesapeake Bay. The center fuselage and wings remained intact but were significantly damaged during the accident sequence. The wing spar remained attached to both wings and carried through the fuselage. Both wings remained attached to the U-channel with the spar pins locked in place. Fire consumed the center section of the airplane, where the 20-gallon fuel tank was located just aft of the cockpit seats, and also consumed the aft fuselage and empennage. The left wing remained attached to the fuselage and carry-through wing spar. The outboard 90 inches remained intact to the wing root, where it was consumed by fire. The wing displayed very little compression and minor buckling on the forward outboard portion. The trailing edge displayed fire damage propagating outboard from the fuselage. The left flaperon remained attached and operated normally. The right wingtip was deformed from the impact and the wing exhibited numerous compression bends along the entire span. It also exhibited fire damage at the root. The fire propagated outward from the midpoint of the wing aft and outboard of the trailing edge about 50% of its span. The right flaperon was ripped from its mounts and separated from the airplane during the accident sequence; it was found about 30 ft east of the main wreckage. The aft root portions of the wings were destroyed by the fire. The flaperon handle was secured in the retracted position and the left flaperon displayed a neutral position. The right flaperon separated from the wing during the accident sequence and was found about 20 ft left of and behind the main wreckage. The push-pull tubes from the mixing box aft were broken and severed. The mixing box was not retrievable due to thermal damage. The rudder was mostly destroyed by fire, but the lower attach point was functional and remained connected to the frame. Both rudder control cables remained attached. The stabilator remained intact and attached to the aft bulkhead. The counterweight and rod remained attached to the stabilator. The vertical stabilizer fractured just above the rear fuselage attach point. The forward attach point and lower and top ribs were consumed in the fire. The fiberglass tip was burned down to flexible cloth and the tail cone was consumed by fire. Flight control continuity was established from the rudder and stabilator through the fuselage to the left and right tubular guides. Continuity to the rudder pedals could not be established due to impact and fire damage. All the cables were continuous and displayed minimal fire damage. The engine, along with the mount and firewall, separated from the airframe and came to rest about 18 inches behind the cockpit. It was inverted and thermally damaged. The crankshaft was turned via the aft accessory section of the engine and compression and suction were observed on all 4 cylinders. The spark plugs were examined; when compared to a Champion Spark Plug "Check-A-Plug" chart, the spark plugs appeared to be "normal" with light coloration signatures. Visual inspection of the valves and inside the cylinders at the exhaust pipes showed that they were clean, lubricated, and exhibited normal combustion signatures with no visible scoring or grooves. There were two propeller witness marks in the ground leading up to the main wreckage, with one highly distinct gash 20 inches long and 8 inches deep in the ground. One blade separated at the hub. The other blade remained connected to the hub and was damaged by fire. The Office of the Chief Medical Examiner, State of Maryland, Baltimore, Maryland, performed an autopsy of the pilot; the cause of death was multiple injuries. In addition, evidence of a scar from a previous stroke was identified, as well as significant heart disease. The pilot had an intact artificial aortic heart valve, severe coronary artery disease with 75% stenosis of the left anterior descending artery and 30% in the right coronary artery. No gross evidence of scarring from a previous heart attack was described. The medical examiner's toxicology testing identified amlodipine in the pilot's urine but not in blood. The FAA's Bioaeronautical Sciences Research Laboratory, Oklahoma City, Oklahoma, performed toxicology testing and identified losartan, rosuvastatin, carvedilol, and salicylate in urine, amlodipine in liver and cavity blood, and rosuvastatin in blood. Losartan, carvedilol, and amlodipine are prescription blood pressure medications. Salicylate is a metabolite of aspirin; rosuvastatin is a prescription cholesterol lowering agent. None of these medications are generally considered impairing. Records from the pilot's primary care doctor between April 2013 and April 2016 indicated that the pilot had undergone an aortic valve and aortic root replacement in 2012, and that he had longstanding hypertension and high cholesterol. He had also been diagnosed with a transient ischemic attack sometime before 2013. A list of regular medications was not included in the records after 2014. According to the VANs RV-12 Pilot Operating Handbook. "During gusty wind conditions, fly the landing approach at approximately 5 knots above normal and touch down with the nose slightly lower than for a normal landing. Crosswind approaches can best be accomplished by using the wing down top rudder method touching first on the down wing side main wheel, followed by the other main wheel, and finally lowering the nose wheel all the while keeping the stick into the wind." The Airplane Flying Handbook (FAA-H-8083-3B), Chapter 8, " Crosswind Approach and Landing," stated in part: The wing-low (sideslip) method compensates for a crosswind from any angle, but more important, it keeps the airplane's ground track and longitudinal axis aligned with the runway centerline throughout the final approach. For landing in turbulent conditions, use a power-on approach at an airspeed slightly above the normal approach speed. This provides for more positive control of the airplane when strong horizontal wind gusts, or up and down drafts, are experienced. Like other power-on approaches, a coordinated combination of both pitch and power adjustments is usually required. On April 19, 2016 about 1244 eastern daylight time, a Vans RV-12, N276VA, registered to Yoxford Air, LLC. operated by a private individual, was substantially damaged when it impacted terrain during final approach at Bay Bridge Airport (W29), Stevensville, MD. The Airline Transport pilot and his passenger were fatally injured. Visual meteorological conditions prevailed, and no flight plan was filed for the local personal flight conducted under the provisions of Title14 Code of Federal Regulations Part 91. At approximately 1210, the pilot and his passenger departed runway 29 at W29 and flew southeast for approximately 25 miles before returning to the airport 30 minutes later. Initial radar data indicated they approached the airport traffic pattern from the south at 1,000 feet and entered the traffic pattern on the left downwind leg for runway 29. After turning from base to final, several witnesses reported that the airplane looked unusually low on final approach. The nose pitched up briefly but the airplane did not did not appear to gain any altitude. The left wing appeared to rise, followed by a sharp turn to the right and steep nose down attitude before disappearing behind trees. The airplane impacted the ground and cartwheeled for approximately 150 feet before coming to rest upright, approximately 750 feet short of runway 29 and slightly left of the extended runway centerline. A post-accident fire consumed the fuselage before it was extinguished by fire rescue personnel about 10 minutes after the accident. According to Federal Aviation Administration (FAA) and pilot records, the pilot held a Airline Transport Pilot Certificate with ratings for Airplane Multiengine Land, Airplane Single Engine Land, and Flight Instructor for Airplane Single Engine Land. His most recent application for a FAA first-class medical certificate was dated April 24, 2008. As of his last known medical exam, the pilot reported that he had accrued approximately 5,136 total hours of flight experience. The pilot was issued a First Class Medical Certificate which expired for all classes on April 30, 2010. According to FAA and maintenance records, the airplane was manufactured by Van's Aircraft, Inc. in 2015. The airplane's most recent 100 hour inspection was completed on March 16, 2016. At the time of the inspection, the airplane had accrued 298.6 total hours of operation. The airplane was equipped with a Rotax 912-ULS-2 engine. Richard W. Hess, director of operations for a Baltimore paper company who earlier had been an aide to three secretaries of the Navy, was killed April 19 when a plane he was piloting crashed on Kent Island. The Ellicott City resident was 63. Mr. Hess was at the controls of a rented white-and-red Van's RV 12 aircraft when the plane crashed into a field near Stevensville. Mr. Hess and a passenger, Janet Metz, 56, also of Ellicott City, were pronounced dead at the scene. The son of Warren C. Hess, a career Air Force officer, and Catherine A. Spencer, an educator, Richard Warren Hess was born in Tachikawa, Japan, and raised in New Jersey, Illinois and Germany, where he graduated from Frankfurt American High School. After graduating in 1975 from the Naval Academy, he was commissioned an officer and entered the naval flight program at Pensacola, Fla. Graduating at the top of his class and earning his wings in 1977, Mr. Hess was assigned to Naval Air Station Whidbey Island, Wash., where he flew Grumman A-6 attack planes. Career assignments included tours in squadrons VA-128 Intruders, VA-95 Green Lizards and Va-165 Boomers, and command tours as executive officer and commanding officer of VA-52 Knightriders. Bob Knowles, who was Mr. Hess' commanding officer at Whidbey Island in the late 1970s and early 1980s with VA-165, was also his navigator and bombardier. "Rick followed the rules, was very steady and never did anything stupid with the airplane, and he had some of the toughest flying in the squadron," said Mr. Knowles of Albuquerque, who retired in 1993 from the Navy with the rank of captain. "The A-6 is built for the bombardier and not the pilot," said Mr. Knowles. "I wanted to fly with him, and that's why I chose him — and I could have chosen anyone. We were given really tough challenges, and we were able to pull them off. "He was a hell of a pilot, and if he was still alive, I'd still want to fly with him," he said. He described Mr. Hess as "outgoing" and "one of the most fun guys in the squadron. He was like a little brother to me." In 1986, Mr. Hess began a tour of duty at the Pentagon, where he was an aide to Secretary of the Navy John Lehman, and subsequently secretaries James H. Webb and William L. Ball. Mr. Hess later flew in combat in Somalia and Iraq and was serving aboard the aircraft carrier USS Enterprise at the time of his retirement in 1996. He had earned a master's degree in 1990 in business from George Washington University, and after leaving the Navy, went to work in 1996 for International Paper Co. in Lock Haven, Pa.
"The biggest thing with Rick was that he was a great family man," said Dennis Castronguay who worked with Mr. Hess at International Paper Co. and later was plant manager. "He was just a great guy, and we worked together for four years," said Mr. Castronguay who retired from Verso Paper Corp. in Bucksport, Maine, and lives in Orland, Maine. "When Rick came to Lock Haven, it was his first job out of the military. [He] came to us in a senior role and immediately made an impact on the company," Mr. Castronguay said. "He was a good leader, always had a smile and was great at problem solving. From the start, he was always looking at ways to improve things." In 2000, Mr. Hess went to work for a paper company in Carrick-on-Shannon, Ireland, and later at XPEDX, a Hanover, Pa., paper company. He joined Leonard Paper Co. in 2007 as director of operations and continued working for the company until retiring in 2015. "Rick was well respected, and he helped my family grow the business and improve the efficiency of the company," said Dan Leonard Jr., who is the Leonard Paper Co.'s general manager and worked closely with Mr. Hess. "When I told people here what had happened to Rick, there were plenty of tears." Mr. Leonard said that because of Mr. Hess' military background, it would by easy to assume he would bring that background to his work as director of operations. "You'd think he'd be tough — and he could be at times when needed — but he always took the gentle approach first. 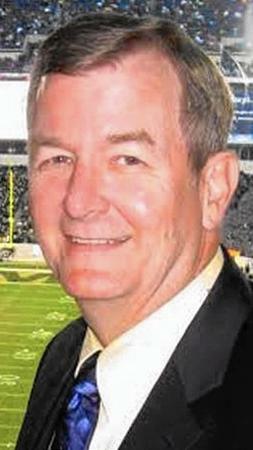 He was very compassionate and understanding," said Mr. Leonard, a resident of Ellicott City. "He was a very special person and very personal. He got to know all the employees on a personal level, and this brought the company together." "Rick brought a huge degree of operational and logistical expertise to the company at a time when we were growing and needed some help," said Paul Baumann, sales manager. "He was an asset for all the time he was here. "He could ... find a way to build consensus, no matter if it took him a year or more. He believed in compromise and the organization and moving forward together," said Mr. Baumann, who lives in Annapolis. Mr. Hess earned flight instructor rating in 2006 and enjoyed training aspiring midshipmen aviators at Tipton Airfield near Fort Meade, family members said. In addition to recreational flying, he enjoyed playing golf, tennis, fishing and spending time at a family cabin in Oakland in Western Maryland. He was also a Baltimore Orioles and Ravens fan. Mr. Hess was a member of the Roman Catholic Church of the Resurrection, 3175 Paulskirk Drive, Ellicott City, where a Mass of Christian burial will be offered at 11 a.m. today. He is survived by his wife of 39 years, the former Susan Jeanne Zaruba; a son, Jonathan Richard Hess of Catonsville; three daughters, Meghan Elizabeth Hess of Baltimore, Susan Rebecca Gallagher of Ellicott City and Kristen Hess Reese of Alexandria, Va.; a sister, Linda Nostran of Mount Laurel, N.J.; and two grandchildren. As the investigation continues into Tuesday's plane crash in Stevensville, friends of the pilot and passenger who were killed in the crash say the Ellicott City residents were known for their adventurous outlook on life. 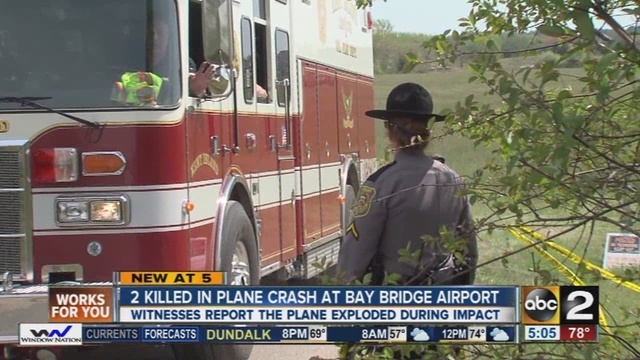 According to Maryland State Police, pilot Richard Hess, 63, and his passenger Janet Metz, 56, died after their rental plane – a white and red Van's RV-12 aircraft – crashed near the Bay Bridge Airport around 12:45 p.m. Tuesday. 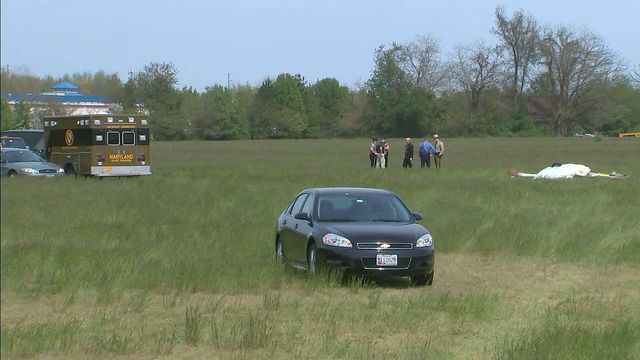 Representatives of Chesapeake Sport Pilot flight school nearby said the plane took off from their premises, and that Hess was a flight instructor at the school. Priscilla Holdt said she worked with Hess for several years at Chesapeake Proflight flight school at BWI Thurgood Marshall Airport, where he was a flight instructor in the Initial Flight Screening program for the Naval Academy. "The IFS program was very intensive," Holdt said. "We had a short amount of time to get a large amount of students trained and [Hess] ran through this program for the Naval Academy, preparing students for the program in Pensacola, Fla. He was a very huge part of that because of his knowledge. He was very instrumental in helping us with that." Holdt said Hess later left Chesapeake Proflight, saying "he was just kind of burnt out." According to his Chesapeake Proflight biography on the Spoke website, Hess was a graduate of the Naval Academy and George Washington University and received his pilot's license in 1974. During his 20 years in the Navy, Hess flew carrier-based jets. "Richard had the ability to see what it took [to become a pilot] and pass something along," Holdt said. "He really had a way with students because of his knowledge and his humor that made them want to learn. He just wanted to take time off and enjoy flying." Although unsure if Metz was taking flight lessons, Jeff Brodeur, who knew Metz from high school, said that type of spontaneity wouldn't surprise him or her other classmates at all. 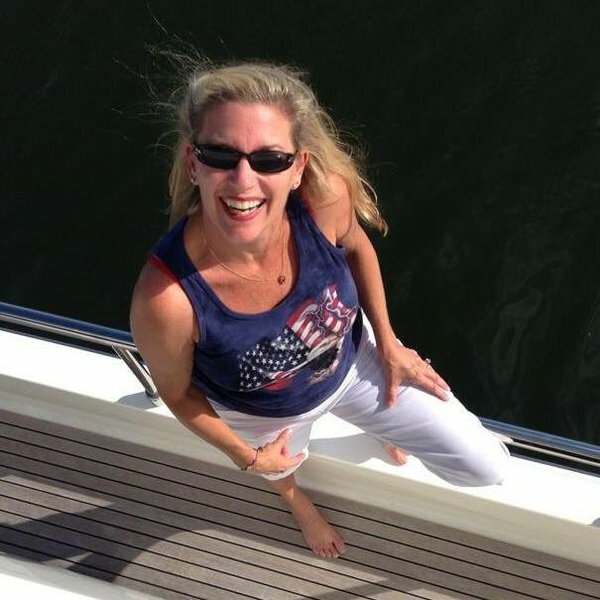 "Janet loved the zest and passion of taking on new challenges," said Brodeur, a fellow Nova High School graduate in Davie, Fla. "Does it surprise any of us that she was doing something that she loved or wanted to have a good time when she passed? Nope." Brodeur said he stayed in touch with Metz after she moved in Ellicott City in December. "Janet was always involved in our reunions, always involved in getting stuff done," he said. "Janet touched so many people wherever she went. There were always people who stayed in touch with her who remember that girl." 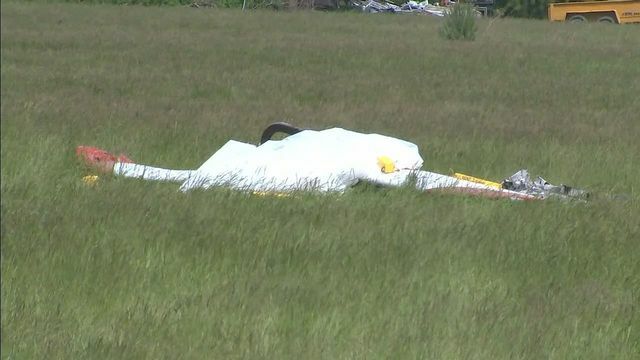 "Investigators are continuing to examine the aircraft," National Transportation Safety Board spokesman Keith Holloway said. "I believe that they were able to document the scene and they're still in the process of collecting information." Holloway said Wednesday that the investigation could take two or three days, and another five to 10 days before the NTSB releases its initial report. Holloway also said it could be 12 to 18 months before the NTSB can determine what caused the crash. Investigators are also reviewing air traffic control communications, if available, and looking at weather and radar data. STEVENSVILLE, Md. 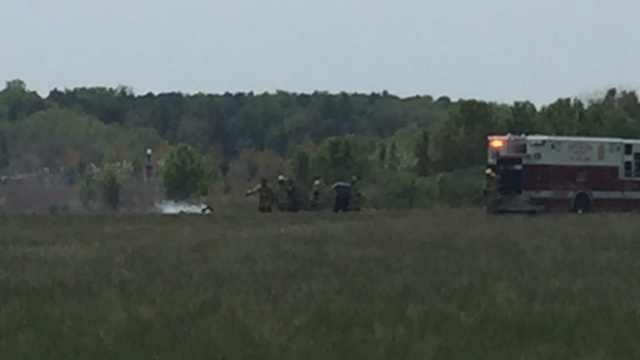 (WJZ) –Authorities have identified two people killed in a plane crash in Queen Anne’s County on Tuesday. Investigators are still trying to determine what caused a two-seater plane to crash as it was approaching the Chesapeake Bay Bridge Airport. The first emergency call came in just after 12:30 p.m. Tuesday. Within minutes, first responders knew it was a dire situation as the plane burst into flames. “This was not on fire in the air. It exploded into flames once it made contact with the ground,” said Corporal Davaughn Parker, Maryland State Trooper. 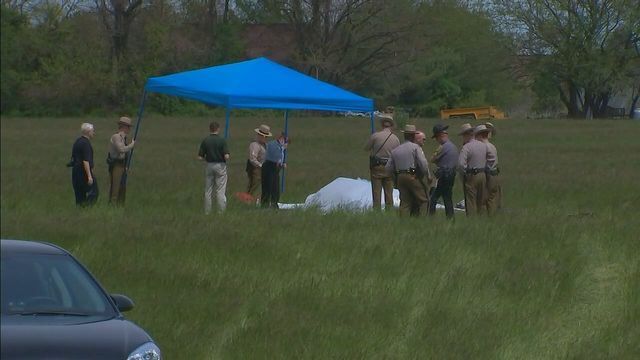 NTSB investigators say the plane–a Van’s RV-12 wit tail number N278VA– was trying to land in a small field near the Ellendale Manor community, in Stevensville when it crashed, killing Richard Hess, 63, and Janet Metz, 56, both of Ellicott City. Those closest to the wreck tell WJZ they did their best to save the victims, but it was too late. The plane was with the Chesapeake Sport Pilot school, where Fred Lango is an instructor. He says Hess also worked there. The NTSB is continuing to investigate the crash, but couldn’t provide any additional details on Wednesday. Those who knew Hess and Metz are in disbelief. “I was shocked. It’s a quiet neighborhood, you see these folks day in day out working around the house,” said Saville Scheler, who lives across the street from the Hess family. He and others in the neighborhood are heartbroken by the news of Richard’s passing. Close friends and neighbors tell WJZ Richard and his family were people of strong faith and well respected in their church community. WJZ also met with Metz’s fiance. He was too emotionally distraught to go on camera but said “we have lost a very special person,” in a Facebook post. The NTSB will be out on the scene the next few days, trying to figure out the exact cause of the crash. NTSB says it will have a preliminary report in three to ten days. A full report and cause of the crash may take a year. Two people killed when a small plane crashed Tuesday afternoon near the Bay Bridge Airport in Stevensville were identified by police on Wednesday. Police identified the pilot as Richard Hess, 63, and the passenger as friend Janet Metz, 56, both of Ellicott City. At about 12:45 p.m., the Maryland State Police Centreville Barrack received a call with a report of a plane crash near the Bay Bridge. Troopers, firefighters and paramedics responded to the scene. A state police spokesman said the plane, a rental, was a white and red Van's RV-12 aircraft. Witnesses told police the plane burst into flames when it hit the ground. The two occupants of the plane were pronounced dead at the scene. Officials had not yet identified them Tuesday evening. The Federal Aviation Administration and National Transportation Safety Board will investigate the crash, police said. "It is too early to determine what caused the accident," said Keith Holloway, a spokesman for the NTSB. "We're still in the investigating stage." Holloway said the investigation could take two or three days, and an another five to 10 days before the NTSB releases its initial report. Holloway also said it could be 12 to 18 months before the NTSB can determine what caused the crash. Airport officials couldn't be reached for comment. The incident was the second crash involving an aircraft in the area in approximately 48 hours. Early Saturday afternoon, a helicopter being used to inspect Baltimore Gas and Electric Co. power lines crashed near BWI Thurgood Marshall Airport. The crash occurred off Aviation Boulevard, between BWI's MARC train station and Old Stoney Run Road. A BGE employee and two contractors on board were taken to Baltimore Washington Medical Center in Glen Burnie for minor injuries. The helicopter was completely destroyed, and the crash is under investigation by the NTSB and state police. 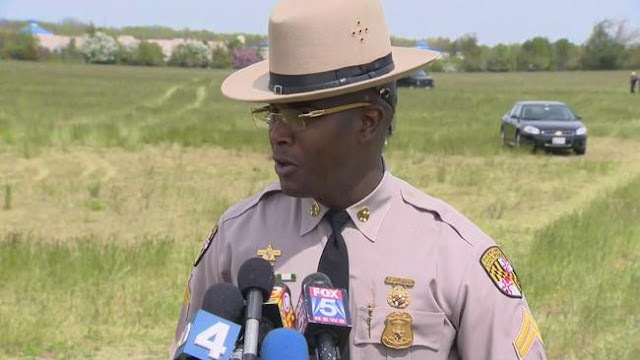 Maryland State Police have identified the two Ellicott City residents killed in the plane crash near Bay Bridge Airport Tuesday. 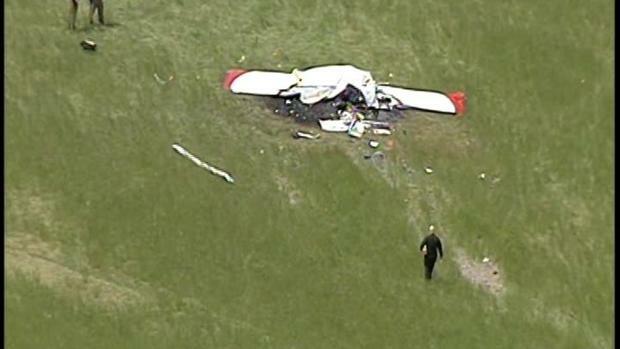 Pilot Richard Hess, 63, and friend Janet Metz, 56 died in the crash shortly over 1 p.m. 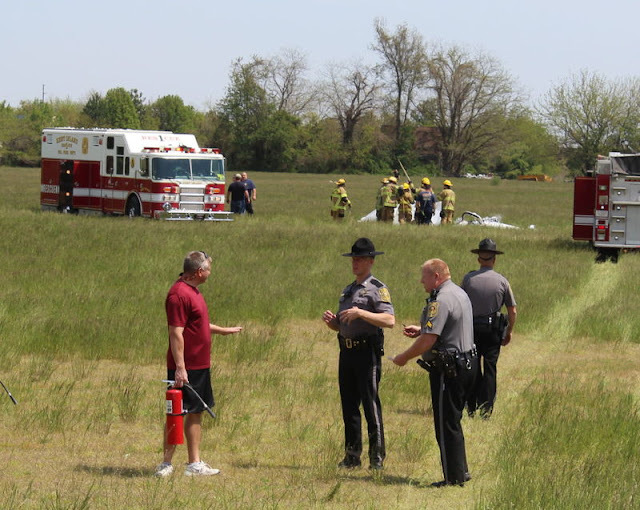 The small aircraft, tied to a flight school and rented from a Delaware firm, crashed in an open field in Stevensville before bursting into flames. Investigators from the Federal Aviation Administration and National Transportation Safety Board are still working to determine the cause of the crash. STEVENSVILLE, Md. 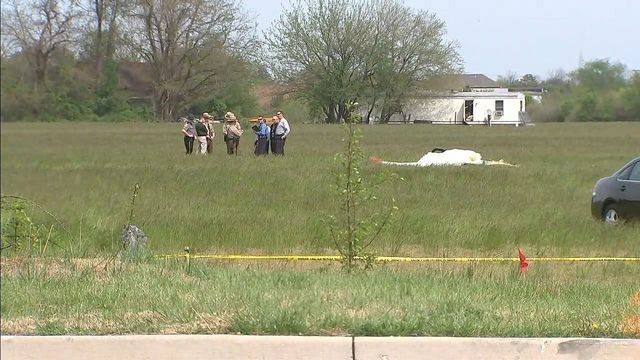 (WJZ) — Investigators remain on the scene of a deadly small plane crash, just feet away from the runway of the Chesapeake Bay Bridge Airport. NTSB investigators are on-scene. They say the plane was trying to land in a small field when it crashed, killing two people on board. Several witnesses say they tried saving the people from the burning plane. Emergency calls shed light on the frantic moments. 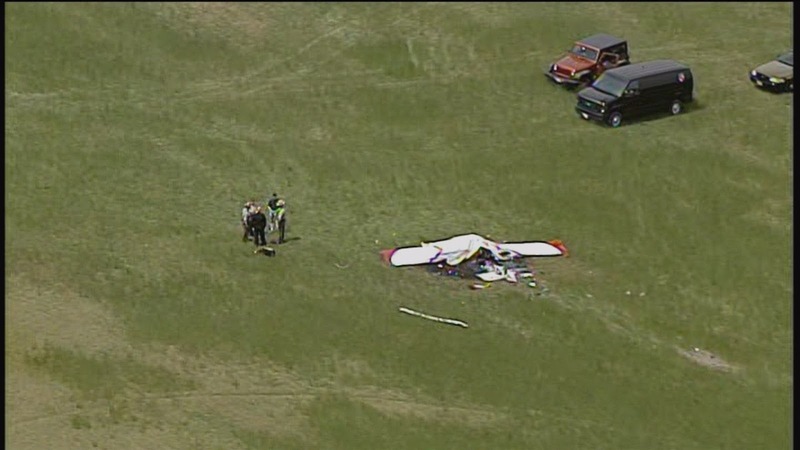 In the middle of a Queen Anne’s County field–totaled–Sky Eye Chopper 13 captured what’s left of a small, two-seater plane after it crashed near the Bay Bridge Airport. The first emergency call came in just after 12:30 p.m. Tuesday. Within minutes, first responders knew it was a dire situation. The plane caught fire. “This was not on fire in the fire. It exploded into flames once it made contact with the ground,” said Corporal Davaughn Parker, Maryland State Trooper. Dennis Profit saw the smoke. “The whole back of it, the whole center was completely engulfed,” he said. Still shaken up, Profit says he ran through the field and tried saving the two people on board–but it was too late. “I grabbed my fire extinguisher and ran out and tried to put the flames out, but they were already dead when I got there,” he said. State police say the plane was a Van’s RV-12 aircraft. The plane was with the Chesapeake Sport Pilot school, where Fred Lango is an instructor. He says the man who died in the crash also worked there. “I know it wasn’t a revenue flight, it wasn’t a training flight,” said Lango. Like investigators, Lango is left trying to put together the pieces. “You have to wonder why. That’s the first thing that runs through my mind is why something like that happened,” he said. The identities of the victims have not yet been released. The NTSB will be out on the scene the next few days, trying to figure out the exact cause of the crash. STEVENSVILLE, Md. 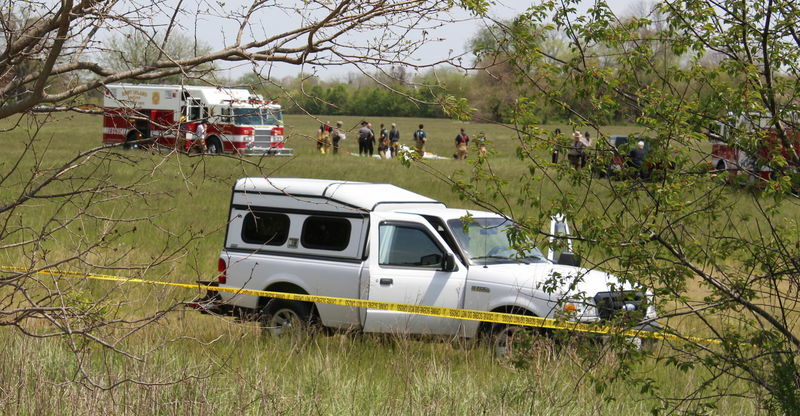 —A plane crash in Queen Anne's County left two people dead Tuesday. The plane crashed around 12:45 p.m. in a field just short of the runway at Bay Bridge Airport, which is just beyond the east side of the Chesapeake Bay Bridge at U.S. Route 50 and Maryland Route 8. Maryland State Police said the single-engine plane went down in a field just across the highway from the airport. State police identified the aircraft as a Van's Aircraft RV-12, which, according to the company's website, is a two-seater that can be built from a kit or by a factory. Police said the plane was not on fire in the air, but burst into flames after hitting the ground. "It wasn't seconds later that fire trucks came in here, and you could tell, they put foam on it and had it out pretty quickly. 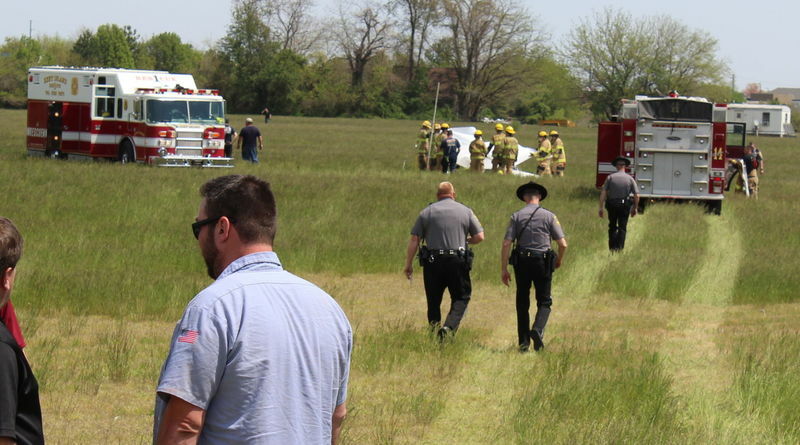 And then the sheets came out and that's when the gentleman told me there were some deceased people there," said Mike McCollough, a retired firefighter who witnessed the crash. State police said a man and a woman died in the crash. The victims were identified as Richard Hess, 63, and his friend Janet Metz, 56, both of Ellicott City. Hess was the pilot and Metz was the passenger. Both were pronounced dead at the scene, state police said. 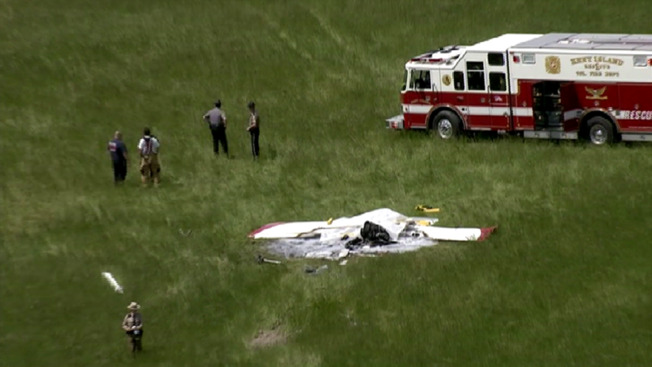 The National Transportation Safety Board and the Federal Aviation Administration are investigating a cause of the crash. A flight school that said its aircraft was involved in the crash released a statement about the crash, saying, "An aircraft associated with Chesapeake Sport Pilot was in an accident that resulted in fatalities. We send our sincerest thought and prayers to the friends and family of those involved in this tragedy. 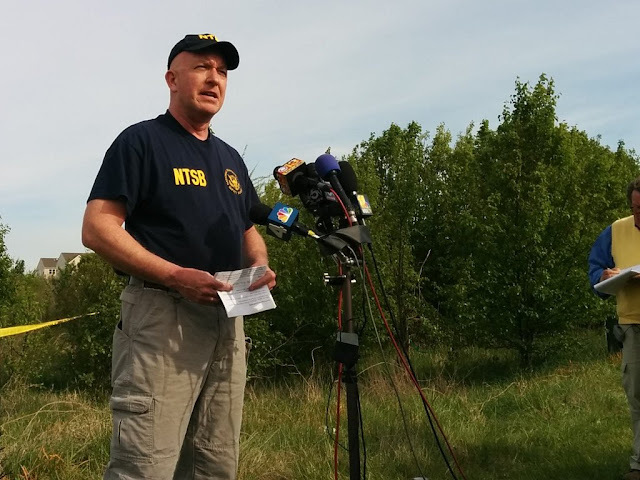 "At this time, details of the accident are still emerging and we will cooperate fully with the NTSB so they can have a thorough investigation, which will hopefully help prevent this type of horrible accident in the future. Chesapeake Sport Pilot is a close-knit community of individuals who share a passion for aviation and I know we will all grieve this loss for some time. We offer our help and support to all those affected." STEVENSVILLE, Md. -- Maryland State Police say two people were killed when their small plane crashed on the state's Eastern Shore. Police spokesman Cpl DaVaughn Parker said authorities received a call about 12:44 p.m. Tuesday about a plane crash on Kent Island. He says the aircraft burst into flames when it hit the ground near the Bay Bridge Airport not far from Stevensville. He said the plane is a Van's Aircraft RV-12, which, according to the company's website, is a two-seater that can be built from a kit or in a factory. 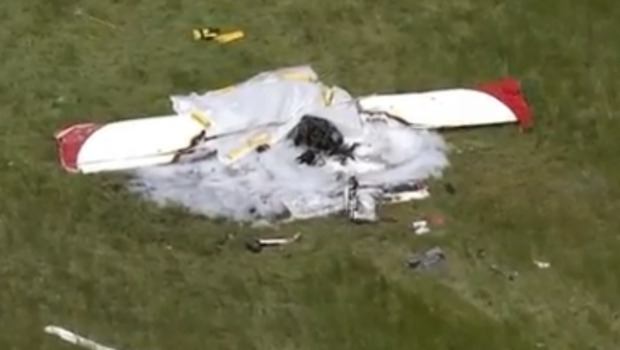 "I tried to help but plane was fully engulfed," one witness told CBS Baltimore's WJZ reporter Rick Ritter. "I saw two people inside and started screaming for them, but no one was moving. I wish I could've done more." Parker said the two who died at the scene weren't immediately identified, according to the station. The Bay Bridge Airport serves mostly general aviation, not scheduled passenger airlines. The aircraft was rented out of Wilmington, Delaware from Yoxford Rental Company, CBS Baltimore reported. Parker said the NTSB and FAA will investigate the crash. 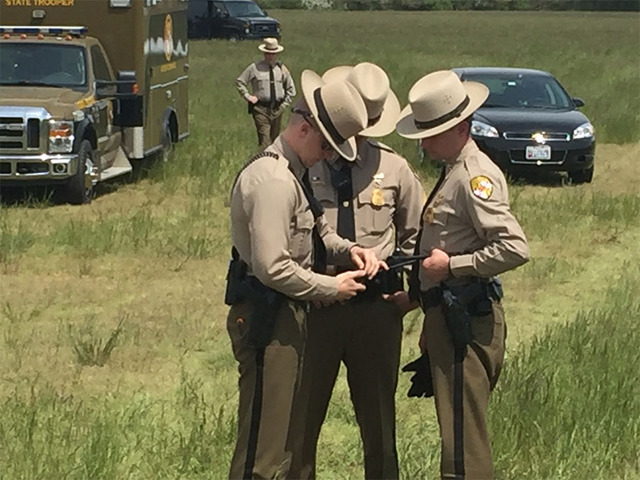 A man and woman died as a result of the single-engine plane crash that happened at Route 8 and eastbound Route 50 on Kent Island at about 12:45 p.m., said Maryland State Police spokesman Cpl. DaVaughn Parker. The red and white Van’s Aircraft RV-12, which had been rented from Delaware, exploded into flames when it made contact with the ground, Parker added. Police have not released information about any additional injuries or damage caused by the crash.